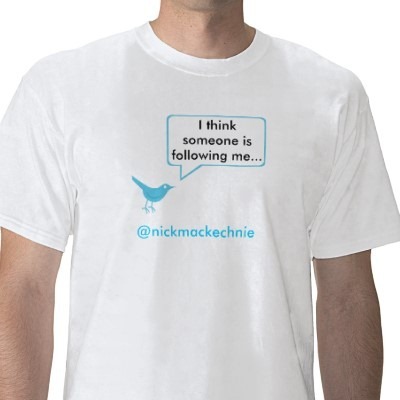 I had Twitter t-shirt created for me by a crowd called 140tees.com. 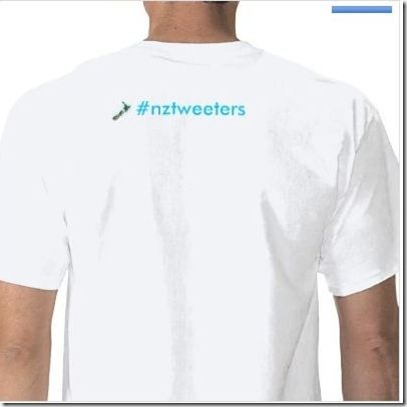 I had some great feedback, and thought others may be interested in a NZ community Twitter T-shirt. 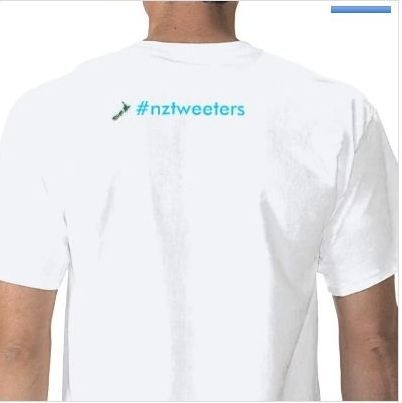 With this in mind, I have created a nztweeters account. Click on he following link to customise and order your T-shirt. Office Communication Server – Federation makes sense! Now that Office Communication Server R2 is out, there are a heap of customers piloting and indeed deploying OCS. I thought I’d share a few thoughts around why you should consider federating with your business partners and other IM service providers. I work in the support part of our organisation, and for me, encouraging my customers to federate with Microsoft makes perfect sense both from a business partner (being able to engage directly with your account team) perspective as well enabling us to support our customers better. 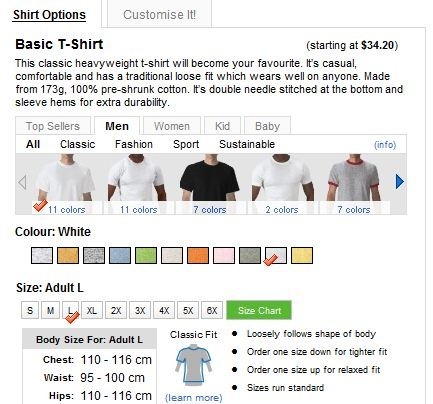 · Ability to build virtual teams across organisations or with 3rd parties with a common goal – e.g. : Universities or companies working on joint projects or teams that are geographically separated. · The Live Communications Sever Public IM Connectivity (LCS PIC) license will be renamed Office Communications Server Public IM Connectivity (OCS PIC) license. · With Windows Live federation, customers will be able to add Windows Live contacts to their Office Communicator contact list, view presence and send and receive instant messages. Microsoft will continue to work with our partners to enable more options that allow you to communicate seamlessly with customers, partners, friends and family on different networks. For more information on public IM connectivity with Office Communications Server, please go to http://www.microsoft.com/communicationsserver/en/us/public-im-connectivity.aspx. 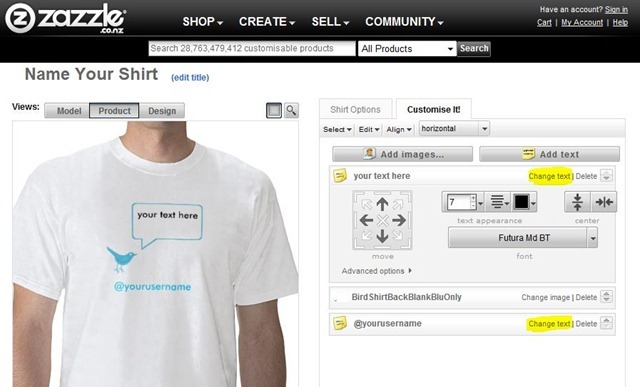 Our Unified Communications Product team are also on Twitter http://twitter.com/ucteam. Federation provides your organization with the ability to communicate with other organizations Access Edge Server to share IM and presence. You can also federate with an audio conferencing provider using either of the two following methods. The process of configuring federation with an organization or an audio conferencing provider is identical. For a list of supported ACPs, see http://r.office.microsoft.com/r/rlidOCS?clid=1033&p1=ACP. Allow automatic discovery of federated partners. This is the default option during initial configuration of an Access Edge Server because it balances security with ease of configuration and management. For example, when you enable automatic discovery of federated partners on your Access Edge Server, Office Communications Server 2007 allows any federated domain to send communications with you and automatically evaluates incoming traffic from federation partners and limits or blocks that traffic based on trust level, amount of traffic, and administrator settings. Allow discovery of federated partners, but grant a higher level of trust to specific domains or Access Edge Servers that you specify on the Allow list. For example, if you want to grant a higher level of trust to partners using the SIP domain contoso.com and fabrikam.com, you would add these two domains on the Allow tab. Restricting discovery in this way establishes a higher level of trust for connections with the domains or Access Edge Servers that you add to your Allow list, but still provides the ease of management that is possible by discovering other federation partners that are not listed on the Allow tab. Do not allow discovery of federation partners and limit access of federated partners to only the domains or Access Edge Servers for which you want to enable connections. Connections with federated partners are then allowed only with the specific domains or Access Edge Servers you add to the Allow tab. This method offers the highest level of security, but does not offer ease of management. For example, if an FQDN of an Access Edge Server changes, you must manually change the FQDN of the server in the Allow list. If a federated party has sent requests to more than 1000 URIs (valid or invalid) in the local domain, the connection first placed on the Watch list. Any additional requests are then blocked by the Access Edge Server. If the Access Edge Server detects suspicious traffic on a connection, it will limit the federation partner to a low message rate of 1 message per second. The Access Edge Server detects suspicious traffic by calculating the ratio of successful to failed responses. The Access Edge server also limits legitimate federated partner connections (unless added to the allow list) to 20 messages/sec. If you know that you will have more than 1000 requests sent by a legitimate federated partner or a volume of over 20 messages per second sent to your organization, to allow these volumes, you must add the federated partner to the Allow tab. Introduction to Microsoft Office Communications Server 2007 Administration Guide. If you did not enable discovery of federated partners when you configured your Access Edge Server, you can use the Computer Management snap-in to do so. If you already selected this option during setup, you do not need to perform this step. 1. Log on to the Access Edge Server as a member of the RCT Local Administrators group or a group with equivalent user rights. 2. Open Computer Management. Click Start, click All Programs, click Administrative Tools, and then click Computer Management. 3. In the console tree, expand Services and Applications, right-click Microsoft Office Communications Server 2007, and then click Properties. 4. On the Access Methods tab, select the Allow discovery of federated partners check box. Use the following procedure to add a trusted federated partner domain and optionally the FQDN of its Access Edge Server, use the following procedure. 1. Log on to the Access Edge Server as a member of the RTC Local Administrators group or a group with equivalent user rights. 3. On the Allow tab, click Add. In the Federated partner domain name box, type the domain of each federated partner domain. In the Federated partner Access Edge Server box, optionally type the FQDN of each Access Edge Server that you want to add to your Allow list. Remember if you configure the FQDN of a partner's Access Edge Server and the FQDN changes, you must manually update your configuration for this partner. 5. Repeat this procedure for each federated partner you want to add to your Allow list, and then click OK.
Office Communications Server 2007 R2 gives organisations the features and tools they need to streamline communications while increasing operational control, all without expensive infrastructure and network upgrades. Find more information about Office Communications Server 2007 R2 by accessing our catalog of technical resources, documents, and experts. 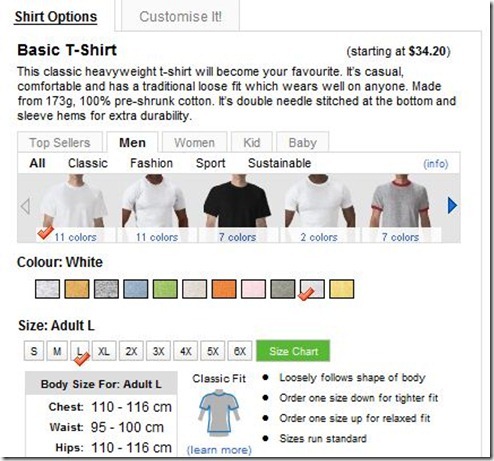 Review product information on everything from new features to migration and deployment. Take advantage of our learning offerings including webcasts, training courses and virtual labs. Need technical support? Microsoft can answer your questions. Find information about troubleshooting issues or ask an expert. Try a fully functional version of Office Communications Server 2007 R2 in your own environment. The Microsoft VHD Test Drive Program provides customers with an enhanced server-based software evaluation experience that’s faster, better supported, and more flexible. You can now access the entire catalog of pre-configured Microsoft and partner products and solutions in the VHD format and start evaluating and testing today. Experience the end-user features of Microsoft’s unified communications technologies without installing any hardware or software. Microsoft’s UC Hosted Trial allows you to sign up for a free five day trial of Office Communications Server 2007 R2 and Exchange Server 2007. Experience Office Communications Server and discover how you can streamline communications for your users, experience the flexibility and control you need to manage your communications infrastructure, and provide an extensible platform for communications-enabled business processes. Digital social networking has been around for a lot longer than many would realise. Fidonet was probably one of the first cabs off the rank in terms of social networking in the form of Bulletin Board Systems (BBSs) with message areas and mail (also known as echomail, netmail, mail, conference areas, subboards). The first BBS was developed by Ward Christensen while he was snowed in during a blizzard and went online on February 16th, 1978. Fidonet was created to solve a business/social problem that we still face today – the ability to discuss, collaborate and share information with each other in multiple locations around a city, country or across the world in a timely manner. In those days it was done via dialup modems, at large expense to the hobbyist, and it was community driven and lead – There are still a collection on BBS’s that exist today, and a lot of those messaging networks still continue for these die hard users. Facebook, bebo, Linkedin are all examples of modern day social networking. Some are focused on the social aspect of life and family, keeping in contact with friends and colleagues while others focus on niche areas such as business relationships. In my opinion they are a wonderful tool (and entertainment) for keeping in contact with people, having your say, networking, sharing family photos etc, however they can also have a major impact on your life, depending on the types of information you share, the networks/groups you join as well as the comments you make. For me, whenever I’m about to meet someone new, I typically insert their name into a search engine for some background reading, as well as look them up on Facebook and Linkedin to understand areas of interest, things in common, discussions topics etc. Social networking for most is about having fun, continuing relationships, meeting people with similar interests etc, however I personally think there is a massive lack of education in terms of impact this can have on your current and future employment. Most of the things you do online, once posted, is there for life. Search engines typically don’t delete information, so once it exists on the web, is very hard to remove. In this day and age, where most of the younger generation heavily utilise these mediums, there seems to be a large lack of thought and understanding in terms of the potential damage this could cause them as the move forward with their lives and careers. It’s almost like a Big Brother show that doesn’t end. Here’s a few examples of where things don’t go according to plan via social networking. 1.A Sydney call centre worker who "chucked a sickie" only to be caught out on Facebook is now the subject of a formal investigation by his employer. 2. U2’s Bono and a couple of bikini-clad girls were made available to the entire New York network on Facebook by mistake due to not setting the appropriate privacy settings. Other areas of concern around online social networking are around Social Engineering (obtaining confidential information and then manipulating a situation for personal gain for example) and Identity theft (fraud that involves stealing money or receiving other benefits by pretending to be someone else). There’s an organisation in New Zealand called NetSafe. NetSafe provides cybersafety education for New Zealanders - children, parents, schools, community organisations and businesses. NetSafe's aim is to educate all New Zealanders about safe, secure and responsible use of information and communication technology. Noah Edelstein stopped by and gave Channel 10 a first look at the Mac client for Live Mesh, so now if you've got some electro-diversity in your home ecosphere, you can drag & drop, share & push all your files to your other machines just like the I'm a PC folks. If you're already a Live Mesh user, this will be a familiar look for you, although some of the UI has been tweaked to conform with Mac norms. If you're dying to get your Mesh on your Mac, head over to mesh.com and sign-up, so that you'll be ready to be a part of this limited release once it goes live later today. Ori and some other folks from the mesh team decked out his car with a custom display and PC, controlled with touch, voice, a Griffin Powermate and Live Mesh! Because his car is 'on the Mesh', Ori can sync his music automatically, and even send an invite to his mechanic to view his telemetry and diagnostics in real time. With the built in navigation he can even share his location with people through Mesh. TOKYO - A 43-year-old player in a virtual game world became so angry about her sudden divorce from her online husband that she logged on with his password and killed his digital persona, police said. The woman, who has been jailed on suspicion of illegally accessing a computer and manipulating electronic data, used his ID and password to log onto the popular interactive game "Maple Story" to carry out the virtual murder in May, a police official in the northern city of Sapporo said. He spoke on condition of anonymity because of department policy. Bizzar!! – Full article here.